Well, the 'Ralphie the Lonely Ghost' pages continue to mount up. 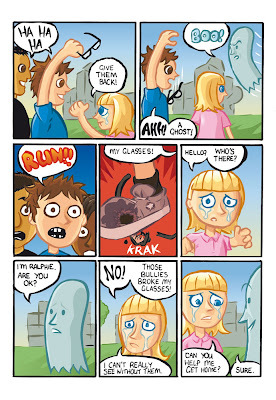 Here is page 3 of the story scheduled to appear in kids comic anthology Clubhouse Comics. As always, i welcome any comments/feedback, and for those of you who have asked, yes the original art is for sale. Email me for more information.